When battling cancer choosing the right physician can be complex as well as confusing. I have been an executive at some of the leading hospitals in the Philadelphia area. I have been asked and have given my opinion about choosing a physician. The quality of a doctor's education combined with their technical prowess are very important. However, one should never underestimate how crucial kindness, caring and communication are in the treatment process. You should want and expect to be able to find a doctor who has it all. One can do an extensive amount of research using Cancer Treatment Centers of America exceptional web page. I spent about an hour looking into the backgrounds of the physicians at Cancer Treatment Centers of America Eastern Regional Medical Center in Philadelphia, Pa. I must say I am impressed with the medical schools attended, residency and fellowship sites, the experience and the professional recognition of the staff at CTCA. One of the guiding principles of Cancer Treatment Centers of America is the Mother Standard. Basically each and every member of the treatment team is expected to treat the patient as if they were his or her mother. Using that standard as the employment principle helps CTCA to attract clinicians who are team players, patient focused as well as compassionate and caring in their practice of medicine. While browsing the web page, I came across a member of the medical staff at Eastern Regional Medical Center who I know very well. Dr. Justin Chura and I worked together for approximately five years when I, Joe Saunders, was the President of Crozer Chester Medical Center. He exemplifies all the qualities I admire and seek in a physician. He is very intelligent, attended the best teaching programs, has extensive clinical experience and is a really nice person. He and I talked frequently and I developed a trust and respect for him. 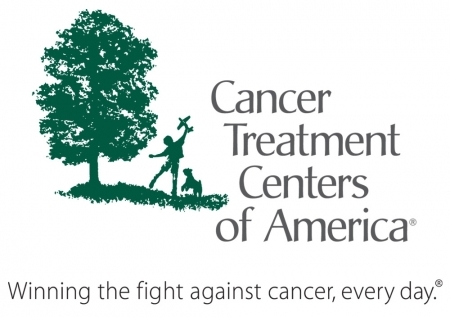 Looking at the profiles of the physicians at Cancer Treatment Centers of America, I feel that you will find an excellent physician and partner at CTCA. One who is just like Dr. Chura. Choosing an institution and physician to help you beat cancer can be difficult, Cancer Treatment Centers of America does an exceptional job of making that process less challenging and most informative. When looking for a superior place to get a second opinion or get treated for cancer, take a hard look at Cancer Treatment Centers of America. Go to www.canercenter.com for a good start in finding superior cancer care.